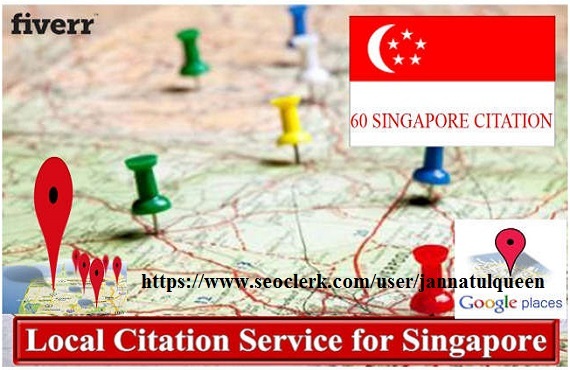 I will Creating 60 Singapore Local Citations. It will help you to get better Ranking in Google Places. I will submit your business details 60 Live Singapore Local business listing site, all are showing your business details. After work, you will get full work reports with login details. Now that is a deal. So all of my fellow USA are welcomed to handover a superior web marketing of their business. Create 60 Live Local Citation For Singapore is ranked 5 out of 5. Based on 1 user reviews.